Persistent pain on your lower or upper jaw should never be ignored. You need to consult your oral surgeon or local dentist Richmond Hill immediately if you are suffering from constant jaw pain. The professional will ask a few questions in order to better understand the cause of the jaw pain and provide effective treatment options. You will need to undergo thorough examinations in order for the condition to be diagnosed and a suitable treatment plan administered. 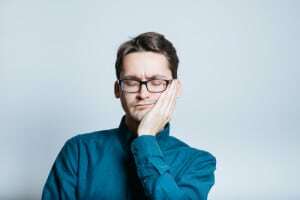 There are many reasons for jaw pain that have been covered in general dentistry. You will never know the cause unless you go for evaluation. The temporo mandibular joint is a joint of the jaw that can experience trauma or injury causing significant pain. When you have a TMJ disorder, one of the telltale signs is a clicking sound when opening your mouth or chewing food. TMJ disorders need to be treated immediately since they can cause the jaw to remain stuck in one position. Jaw pain may also be as a result of gum disease or cavities. Even though these conditions do not affect the jaw area, they can still cause pain that radiates to the jaws. People who have severely damaged teeth and infected gums may experience jaw pain especially when chewing or biting food. It’s important to practice good oral hygiene in order to lower your risk of developing periodontal disease that affects the jaws. Dental abscess, treated using quick and effective family dentistry procedures, can also cause jaw pain. The abscess forms when the nerve or pulp is infected. Abscess builds up when a tooth is infected but goes untreated for too long. The bacteria quickly spread from the roots to the tooth and it can even affect the bone tissue. When the infection gets to the bone tissue, it is likely to cause pain on the upper or lower jaw. Going for regular dental checkups is one way to prevent this kind of jaw pain. Individuals who have a habit of grinding their teeth also have a high risk of experiencing jaw pain. When grinding teeth, you place a lot of pressure on the jaws which may ultimately lead to pain. The habit of clenching teeth is not only disturbing but also damaging to your teeth. You may end up with receding gums or messing up with the structure of the teeth making them prone to infections. If you often clench the teeth, ask your dentist to recommend a suitable mouth guard to help you stop it. This is a serious infection that travels through the bloodstream causing pain and fever. Some people will experience serious TMJ disorders as a result of this infection. When identified early, osteomyelitis infection is very easy to treat. Your dental office Richmond Hill may prescribe a series of antibiotics to clear the infection. In severe cases, the areas of the bone that have been infected may be removed surgically to stop the jaw pain, fever and swelling.